The Dakhla Oasis (literally ‘inner oasis’) is situated by the central region of Egypt’s vast Western Desert, and as such is almost 210 miles from the verdant lands nourished by the Nile. 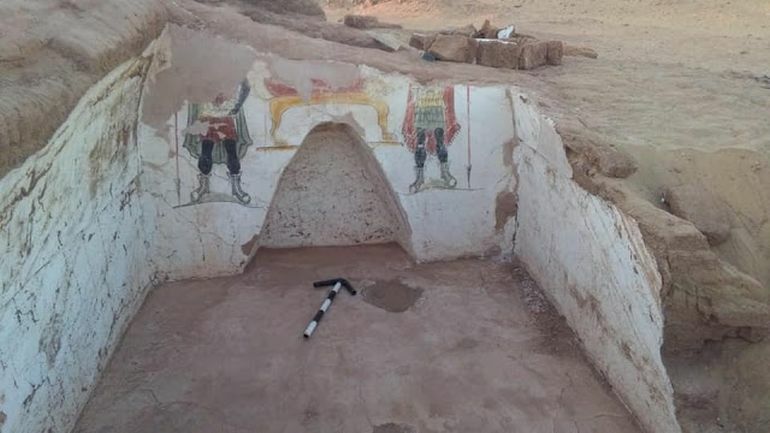 In spite of its remote nature, the area, more specifically the Beer El-Shaghala site in Mut village, still bears the legacy of ancient Roman presence – as is evident from the discovery of two unfinished Roman tombs at the location. The unfinished tombs do flaunt their fair share of vibrancy in the form of colorful murals encapsulating religious scenes. According to Egypt’s Supreme Council of Antiquities, the first of these tombs still has a plastered 20-steps staircase that provides access to the inner structure made of native limestone. The main hall of this tomb, constructed from mud bricks with a vaulted ceiling (now partially destroyed), contains two burial chamber along the northern wall. These rooms housed human skulls and skeletons along with funerary objects like clay lamps and pots. The second tomb has a funerary corridor that leads on to a vaulted chamber once again built along the northern wall. 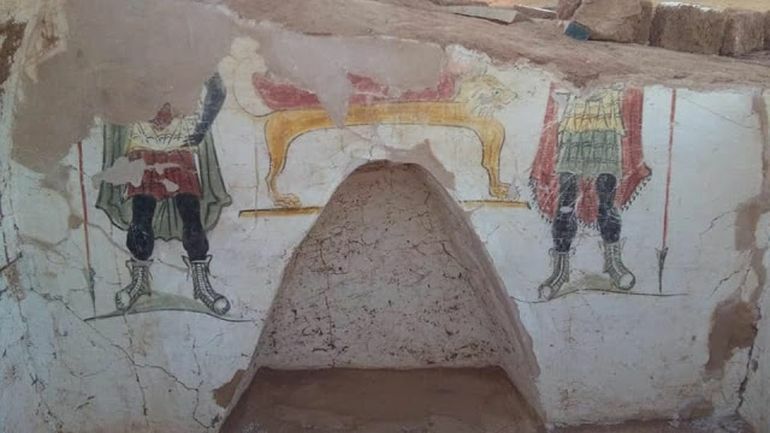 The chamber also has a niche that flaunts a painted scene depicting the mummification process. 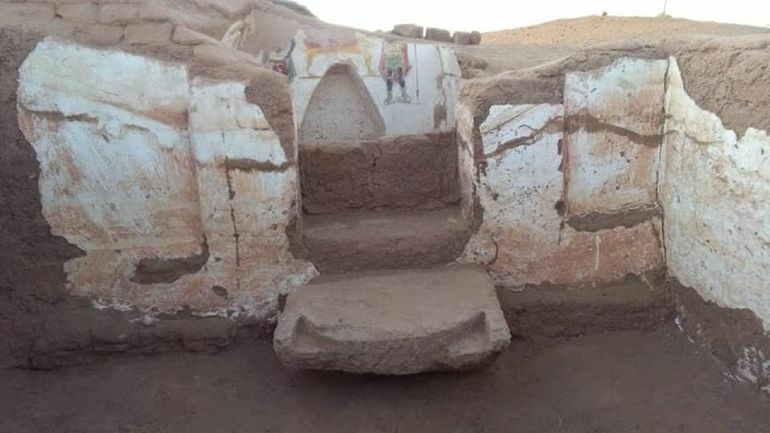 Interestingly enough, the Council of Antiquities also mentioned how ten other tombs were discovered in the area, and most of them were constructed with a distinct architectural style pertaining to pyramid-shaped rooms and tiered structures.